PALATE: Of course I get the initial sweetness, not overly sweet but rum and brown sugar sweet. Then a nice round spicy vanilla with the nice qualities associated with oak. There’s also a flavor of classic bubblegum, the pink kind whose flavor doesn’t last. FINISH: The finish is medium where the spice lingers nicely and you’re left with the rum and vanilla that you paid for. 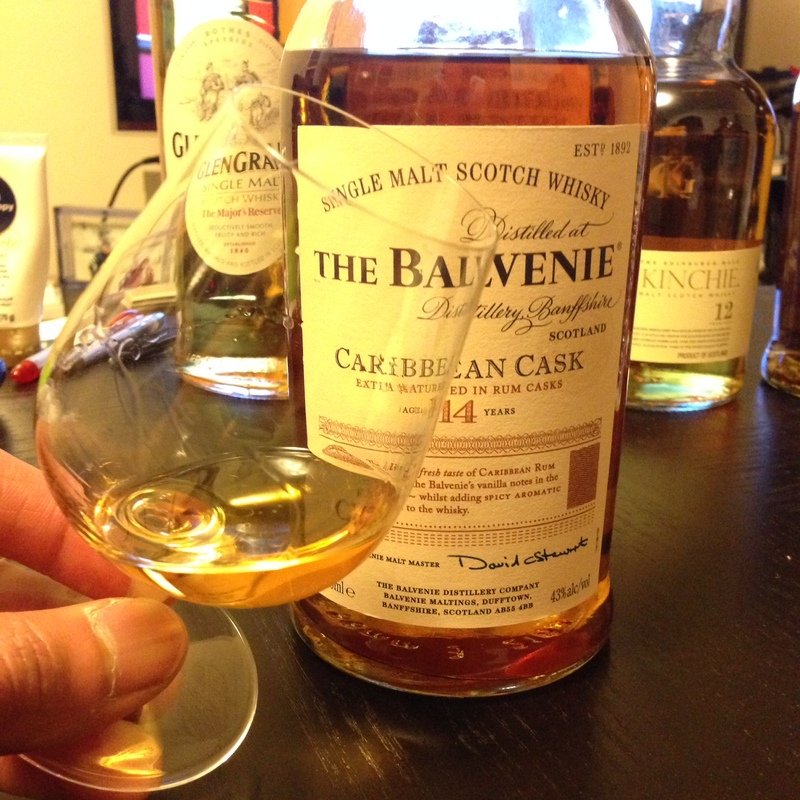 I’m more of a sweeter scotch drinker and this bottle hits a nice spot of spice, vanilla and rummy good sweetness. I didn’t detect much smoke if any. A great beginning of the nice scotch with round enveloping flavors, with just enough spice from the wood to make you remember that you’re not drinking an aged rum. Previous Post The scotchNsniff tasting method!